born 1955, Philippe Micol has his roots in the french part of Switzerland, born in Basel and moving to Bern in 1961 he always lived in the german part of the country until his moving to Germany in the end of the nineties. His interest for music on the one hand and for the scientific approach on the other hand leads him to study music as an instrumentalist - clarinet - and to establish a focus on the new and experimental musical tendencies of the time. 1981 after the end of his studies a first extension of his sound means happens with the soprano and a short time later with the tenor saxophone. This is accompanied by the appropriation and development of own new instrumental techniques. The most advanced streams in the european and american improvised music become decisive sources of inspiration. 1990 there is a second extension with the bass clarinet. The meeting with composer Simon Beyeler 1975 and with the composers, pianists and interprets of experimental music Urs Peter Schneider and Erika Radermacher in 1978 have a formative effect as has the begin of the collaboration with the improvisers Ruedi Bühler and Franz Aeschbacher with whom Micol founds the "Werkstatt für improvisierte Musik Bern - WIM" in 1982. Later important collaborations happen 1987 with Malcolm Goldstein and 1991 with Frederic Rzewski. His working on the development of the concept of free improvisation is from 1986 on accompanied by compositional activities. The increasing interest for the confrontation of improvising and composing and the interaction between form and flow leads him to realize the project "improvisation studies". He goes into Cages idea of indeterminacy and into the field of concept-music. Being concerned with the notion of the encounter of different centers of activity in space and in time he gets from 1991 on into collaborations with performance-artists as Verena Schwab, Marion Leyh, the ensemble "Stop Performance Theater" led by Norbert Klassen and Janet Hauffler and the european performer-group "Black Market International" led by Boris Nieslony. He starts to develop compositions for sound-installations. From 1994 onwards there is a development of this topic due to the collaboration with video-artist Ruth Bamberg. In these activities the idea of bringing together free and independent elements which interfere with each other plays a central role. They realise together a video, a number of sound/video-installations as well, publish two CD-productions and a book. 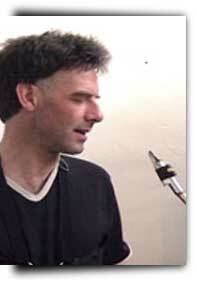 Philippe Micol is currently heard as an improviser an interpret of experimental music. He has been and still is involved in numerous musical and also pluridisciplinarian projects of other musicians and artists. He has been a member of the pioneering swiss group "Ensemble Neue Horizonte Bern" and founded the conceptual duo "Wie er mir, so ich ihm" with Urs Peter Schneider. Furthermore he was involved in the trios "Voerkel/Micol/Widmer", "Drei Narzissen" with Urs Peter Schneider and Franz Aeschbacher, "CBS" with David Gattiker and Mich Gerber, "Goldstein/Micol/Aeschbacher", "Wäldele/Micol/Rihs", "Neighbours in sound" mit Fred Lonberg-Holm und Michael Zerang, in the Duos "Schweig&Still" with Markus Eichenberger, "Micol/Oberg", "MZ 16" with Joachim Zoepf, "Silk thunder" with Michael Lytle, in the sextett "Double You Sea Fields" with Jim Staley, Ikue Mori, Davey Williams, Markus Eichenberger, Jürgen Krusche and in the "Ensemble Echtzeit" mit Melvyn Poore, Erhard Hirt, Thomas Lehn, Stefan Keune, Paul Lytton, Gunda Gottschalk, Ute Völker. He has stayed in Berlin in 1984 and some years later in 1993/94 a stipendium by the Kanton Bern has enabled him to be in New York City where he has met and collaborated with Fred Lonberg-Holm, Michael Lytle, Jim Staley, Gregg Bendian, Lisle Ellis, Paul Plimley, Borah Bergman, Evan Gallagher, Sean G. Meehan, William Winant, Davey Williams, Paul Hoskin and others. After moving to Nordrhine-Westfalia he begins to work with musicians from Germany and the Nederlands like Erhard Hirt, Joachim Zoepf, Wolfgang Schliemann, Stefan Keune, Uwe Oberg, Jaap Blonk, Thorsten Töpp, Jan Keller, Claus van Bebber. In NRW he also gets into electronic and computer music matters attending 1998-2001 to courses of lectures at the ICEM, the electronic music studio of the Folkwang Hochschule in Essen, given by Ludger Brümmer, Thomas Neuhaus and others. The study of programming languages as LISP, Csound and MAX/MSP is used in compositions for sound/video-installations and projects focussing on the interactive soundprocessing of acoustic sound sources. "MZ 16 - experimental wind music in high powers", Duo with Joachim Zoepf, Cologne. "VOM UMGANG MIT DEM ZUFALL"